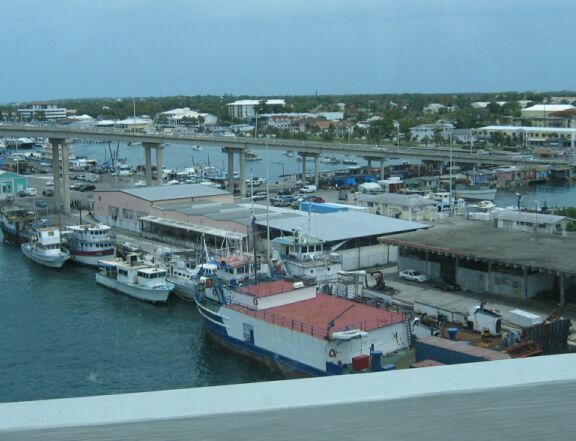 Atlantis is a legendary and lavish property on Paradise Island, near Nassau in the Bahamas and just a hop from Florida. Atlantis, Paradise Island is known for its water slides and fantastical pink towers, and is consistently rated by travel magazines as one of the Caribbean's most child-friendly resorts, but it is also catered to more grown-up tastes with a new hotel, The Cove. This is a mega resort with 97-acre "waterscape" with over 20 million gallons of lagoons, pools, waterfalls, and giant aquariums filled with sea creatures, all adding up to the "largest marine habitat in the world". This getaway vacation was organized by Dung's company and we are tagging along together with about 250 Vietnamese people. Yes, you heard it right! 250 Vietnamese people. This is going to be a very interesting vacation! 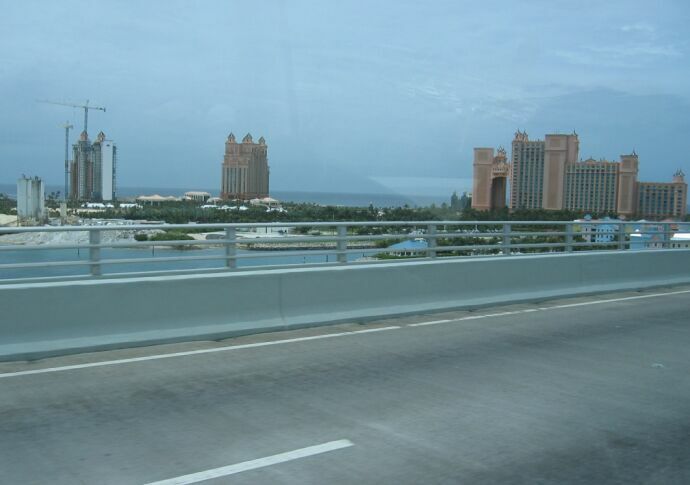 View from the bus taking us to the resort Atlantis.. Even though this is mega resort, Atlantis is still expanding and still building more hotels like the one you see on the far right, in the middle is the Cove and then the Royal tower on the left. 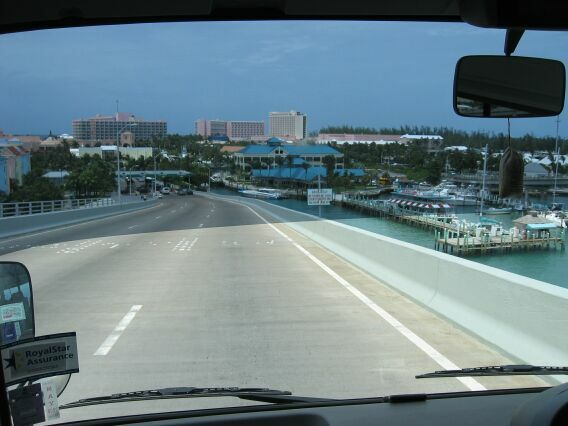 We are now on the bridge and Atlantis is at the end of the road (pink buildings). We are staying at the Coral tower which is the one on the left. 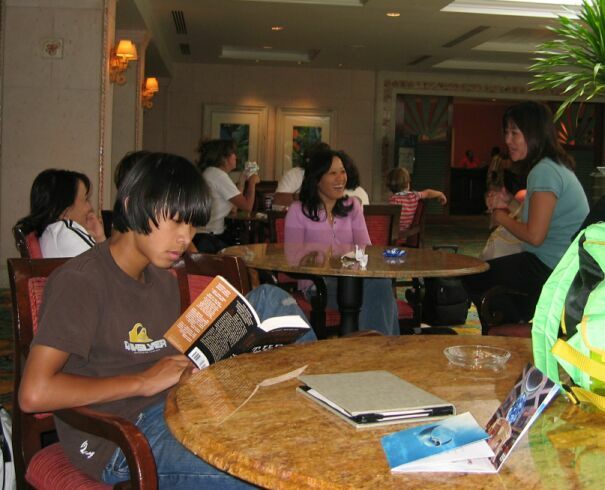 We arrived at the resort around 2:00pm and it was a little too early to check in our room so we hang around the lobby a bit, just enough time to catch our breath. After all we did take a red-eye and we are tired! 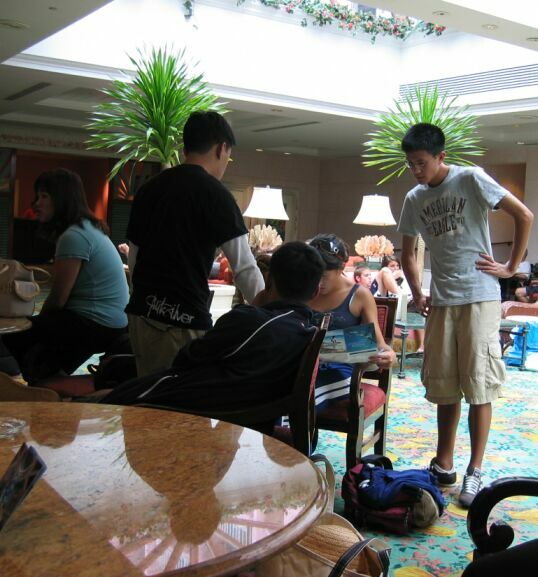 After we checked in our room, we were a little hungry so we decided to get something to eat. Pizza was the first place we found just outside the hotel. In the evening it was raining cats and dogs so we ate at the deli just next door to this pizzeria.